The Police in Ekiti State have arrested the leader of Vigilante Group of Nigeria (VGN), Mr. Femi Ogunleye, for allegedly torturing a man to death and attempting to secretly bury him. Ogunleye (43), also known as Akilapa, was on Monday arrested with six other members of the group who allegedly participated in the arrest and torture of the victim whose name was given as Oke. The Police, who were acting on a tip-off, searched Ogunleye’s residence and found Oke’s dead body being prepared for burial in a shallow grave already dug in the compound. Other accomplices in the crime are Simon Oluwagbohunmi (35), Muhammadu Saradeen (36), Ojo Muri (30), Peace Okon (44), Sola Sunday (20), and Ogunleye Onaolapo (20). 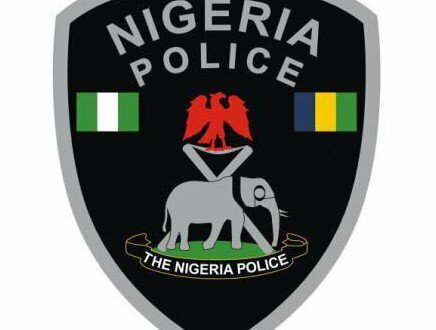 The suspects had accosted the victim at Post Office area on July 29 and took him to Ogunleye’s house where he (Oke) was allegedly tortured to death. Addressing reporters on the development, Police Public Relations Officer (PPRO), Mr. Caleb Ikechukwu, a Deputy Superintendent, said the suspects will be charged with murder, cultism and unlawful arrest of innocent persons. He stated that the body has been deposited at the mortuary of Ekiti State University Teaching Hospital (EKSUTH), Ado-Ekiti. Ikechukwu alleged that the suspects had been the criminal gang terrorizing Ado Ekiti and its environs in cultist related activities and other crimes in recent time. According to him, the deceased was arrested on July 29 but the officers of the Special Anti-Robbery Squad (SARS), acting on a tip-off stormed Ogunleye’s residence along Omisanjana Road. Ikechukwu disclosed that on arrival at Ogunleye’s residence, the victim’s corpse and the grave already dug to bury the body was found. The police spokesperson added that exhibits including one pump action gun loaded with seven live cartridges, three cutlasses, three battle axes, one long stick, one police belt, one iron rod carved like a local gun, Ifa divination tool and one mini laptop were recovered from the scene. Ikechukwu said: “Upon further investigation, particularly when the operatives of the SARS stormed Ogunleye’s hideout, the suspects were found involving in unlawful arrest and torture of one Oke, whose surname and address are yet to be known which resulted to his death at the suspects’ hideout located at Omisanjana area of Ado Ekiti. “The Corpse was recovered therein on June 30 at about 5am and deposited at EKSUTH’s morgue for autopsy. “Apart from those exhibits police discovered, a shallow grave already dug was discovered by the team of SARS operatives within the premises of Ogunleye’s residence with a plot to bury the corpse of the deceased before the incident was unraveled by the police. “During interrogation, the suspects confessed to have accosted the deceased on July 29 at about 1am at the Post Office Area on the pretext of being a thief. Later, the victim later died in their custody at about 8am of the same day having been tortured and inflicted with severe machete cut injuries on his body”. He promised that police are still investigating the matter with intention to unravel more facts about the cases linked to the suspects.